To celebrate the 20th anniversary of his highly successful series of patchwork and quilting books, Kaffe Fassett has returned to his American roots. Using the collection of American vintage quilts in Britain's American Museum in Bath as his inspiration, Kaffe has chosen 18 different quilts as the basis for his 20 new designs in this book. The quilts were photographed on location around Bucks County, Pennsylvania. 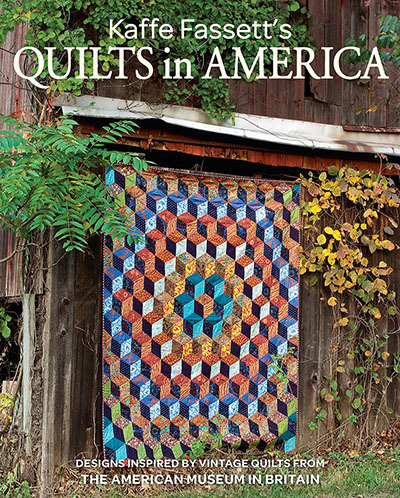 Quilts in America is available for immediate delivery. Fabric packs for the quilts featured in this book will be available within the next few days.